In Australia, Knight Frank has 26 offices, servicing both capital cities and regional centres, with approximately 1,000 employees. As part of our Australian corporate vision to be the place for the best property professionals, Knight Frank has built its strategy around providing the highestlevel of client service and attracting the most skilled people in the property industry. For address and contact information for any of our offices in Australia, search under the PEOPLE tab on this website. Our headquarters in Australia are located in Sydney. 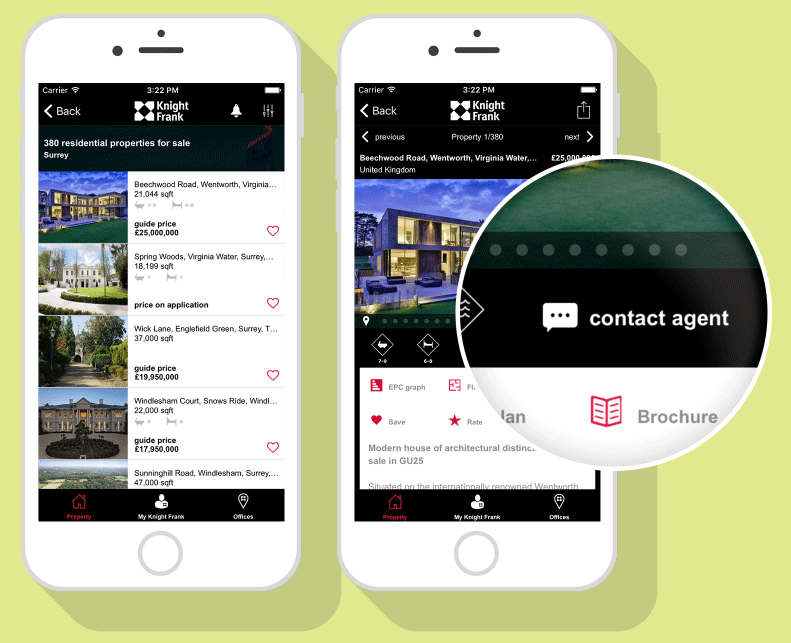 Did you know the Knight Frank App has fast "click to call" access to our offices, in additon to all the property available for sale or lease/rent? Download the Knight Frank App here.